Song of Songs 2:16 – My beloved is mine, and I am his: he feedeth among the lilies. Vance Havner was preaching about lilies. He said there are three kinds of lilies. There are artificial lilies, there are hothouse lilies and there are lilies of the field. Let me discuss these three kinds of lilies in reference to different kinds of Christians. Artificial Lilies – Artificial lilies can sometimes look better than the real thing. They don’t fade. Their coloring is perfect. They don’t wilt when they are not in water. They can last for years without change. However, they are lifeless. That is the way it is with some professing Christians. They can put on a show that makes them look more spiritual than some saint who is struggling along and barely making it. They got all the right dress and say the right things at the right time. They read there Bible. They pray. They do all the right things. The problem is there is no life. They are spiritually dead. When you start pressing these artificial lily Christians about serious spiritual matters like the spurity filled life, joy in the Holy Ghost, confessing sin, being honest about themselves and other true spiritual things, they give you the blank stare and change the conversation quickly. That is because they are spiritually dead. They are hypocrites. They are Christians who are play acting. Kids raised in Christian homes are really good at this play acting. They know how to even fool their parents most of the time. They are really good artificial lilies. Hothouse Lilies – Hothouse lilies are grown in a greenhouse. They are never exposed to the weather. Their environment is controlled so they are in near perfect conditions at all times. They have the best soil, they are watered regular, they are constantly fertilized, and they are at a perfect temperature and humidity. They grow very quickly. The problem is they are like that seed that springs up quickly and has no depth to its roots. It withers away quickly and dies. Hothouse Christians can only survive under near perfect conditions. They have to have just the right preaching, not too hot and not too cold. There can’t be too much preaching on sin and or too much preaching on “love.” They get offended easily when the wind blows because they have always been protected and in doors. If you try to transplant them with a little hard preaching, they get frost-bitten and die. They just can’t seem to make it the way the Lord intended by going through the weather. America’s churches are full of these kind of Christians. It is the characteristic of Laodecea. It is luke warm with a perfect, comfortable Christianity. Field Lilies – Field lilies are wild lilies that grow out in the fields. These lilies do not grow of their own power. They do not toil or work at growing. They withstand the cold and hot. They withstand the rain and the snow. They withstand the wind. They grow up with weeds all around them. They grow in less than ideal soil. They have a beauty that is natural and that is greater than Solomons. Godly Christians are like these lilies. They are totally dependent on the Lord for their growth. They don’t sit around and worry about their own growth. They are concerned about others growth. They are just there to glorify God with their beauty the way God designed them to. They can withstand hot preaching and cold troubles and trials. They can handle when it rains or snows on them and things don’t go their way. They have weathered many trials before and will weather more in the future because they are not dependent on their own strength. They have a natural beauty that reflects their creator. They may not look all that wonderful to the world, but to another godly Christians they are refreshing. 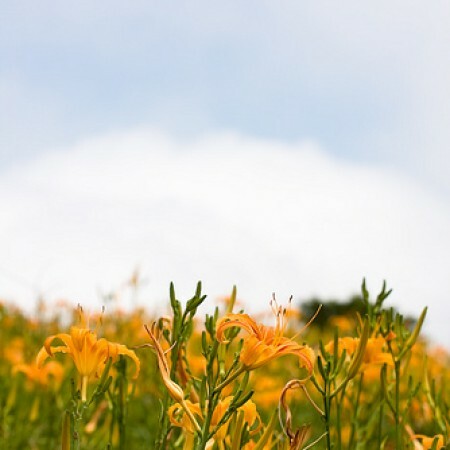 Wild lilies are not the best looking but they are the most durable kind of Christian. So what kind of lily are you. Let’s try and live a life that is pleasing to the Lord.